This was a guest contribution to the blog Uncommon Caribbean about four years ago. 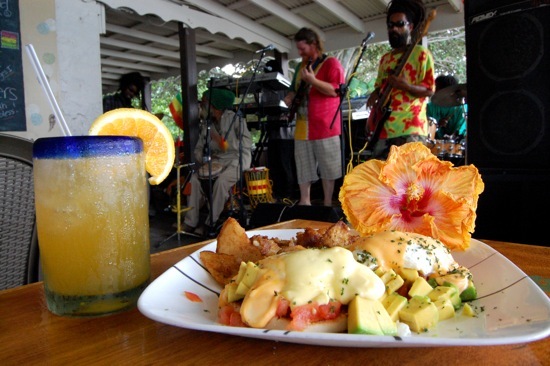 Imagine … eggs benedict with foie gras and truffle hollandaise sauce, a passion fruit mimosa, and home grown live reggae music, all while perched above the Caribbean Sea on the undeveloped north shore of St. Croix. That is just some of what Eat @ Cane Bay on the V.I.’s “Big Island” offers every Sunday during Reggae Brunch.